The BLU-100 has open architecture which is fully configurable through HiQnet™ London Architect. A rich palette of processing and logic objects and a “drag and drop” method of configuration provide a simple and familiar design environment. 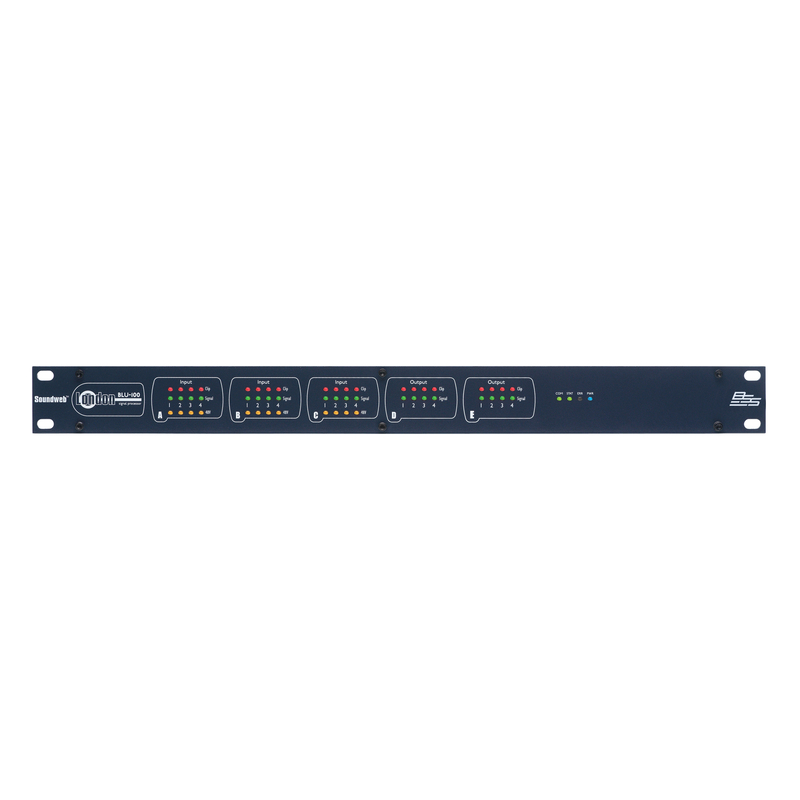 The BLU-100 is compatible with the entire Soundweb London family and its 48 channel digital audio bus represents channels 1-48 of the larger 256 channel digital audio bus when integrated with the BLU-800, BLU-320, BLU-160, BLU-120 and BLU-BOB devices. Phantom Power, Signal Present and Clip information per channel is easily accessible, without the requirement for a PC, from clear front panel LED indication. A bi-directional locate function allows devices to be identified both from and within HiQnet London Architect. 12 Control Inputs and 6 Logic Outputs allow the BLU-100 to be integrated with GPIO compatible devices. 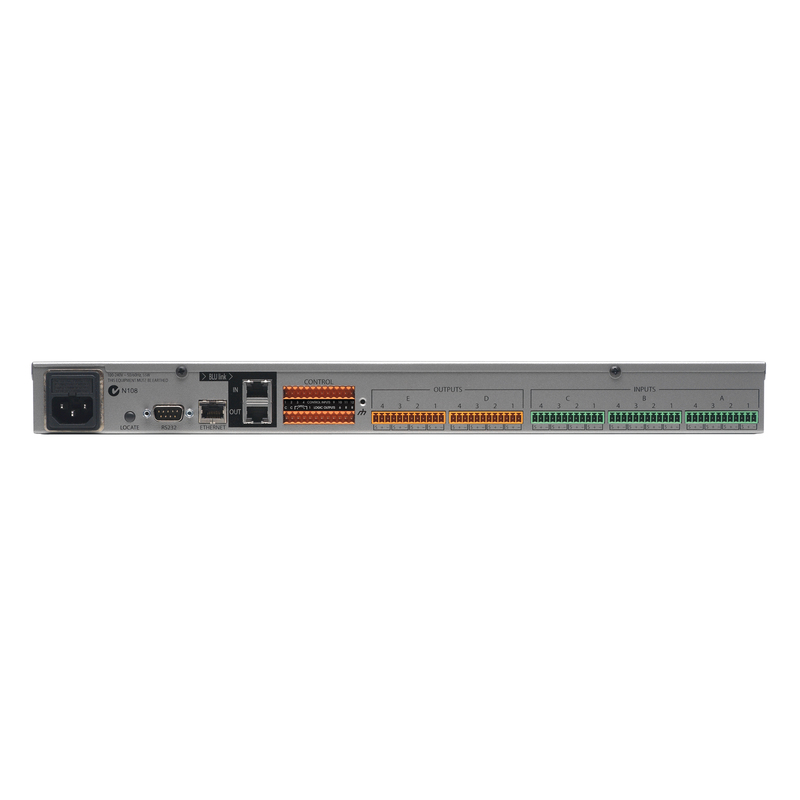 The Soundweb London Interface Kit, comprehensive documentation which details how Soundweb London systems can be integrated with third party control systems, is included within the installation of HiQnet London Architect. The BLU-100 and the other members of the Soundweb London family provide the building blocks of the perfectly tailored system solution.